It’s Thursday again! And so far, shaping up to be a good one. I was up nice and early this morning for a meeting and I can’t speak for anyone else but I tend to me more accomplished for the day as a whole the earlier I wake. I wish my body was more in tune with my mind on this one, because I would be up with the sun every single day if this were the case. However, I am most creatively inspired late at night – many of my editing breakthroughs happen then. I certainly think there is value in the two and I plan to forge more of a balance with myself and my nighttime and daytime habits. While working for myself is awesome, let’s be honest there is no structure unless I create it! As a creative, or maybe just personally, I don’t really like to be bound by too much because I feel that I can do my best work and create when things are free flowing. That all being said I am finding the immense value of balance which I speak to in many regards over the course of my blog posts because at the stage I am in life and in my business, it is much needed. 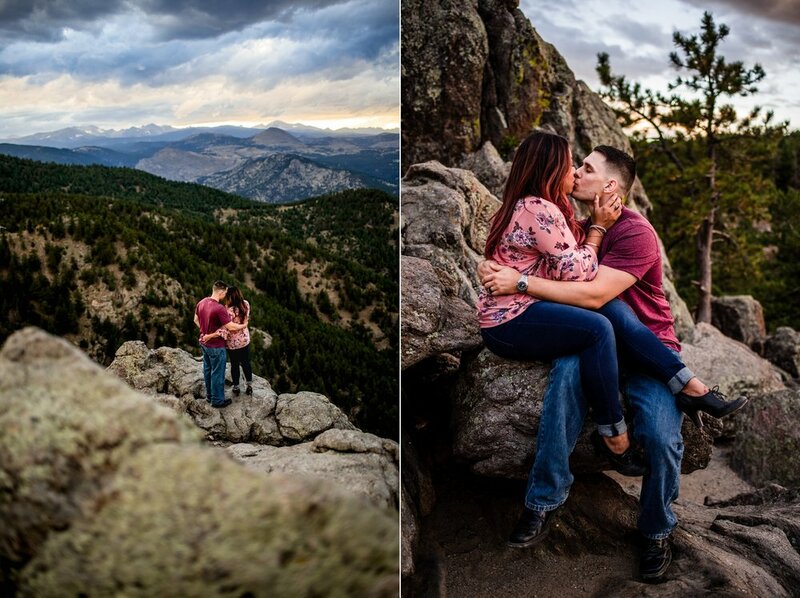 I am happy today to share all my favorites from Jana & Seamus’ Lost Gulch Overlook engagement photos this past fall! What I love about Lost Gulch is that the time of year does not have much of a correlation to how beautiful and epic this spot is! Cold or warm it is still epic and has a view that goes on and on! Plus, all the mountainy benefits of the coniferous forest. We had some lovely skies this night and some even better laughs and moments!